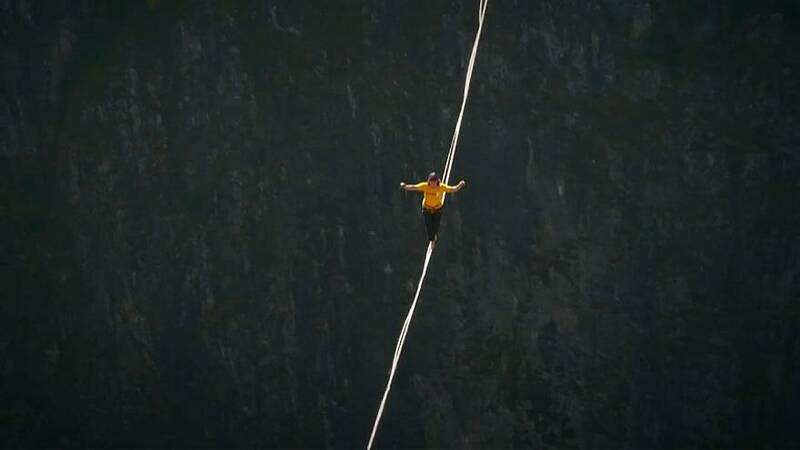 A new Guiness World Record in blindfolded slacklining has been set in China's Yunnan Province. The record was achieved by 18-year-old Pablo Signoret from France, who walked 422.82 metres in 26 minutes. The event was held over a valley in the Dali Bai Autonomous Prefecture. The tension for slacklining is much less than for tightropes or tightwires, meaning there is more stretching and bounce as the walkers make their way across. Signoret, who is known as The Kid, was one of numerous athletes taking part in the 2017 International Highline Challenge at Shimenguan Geopark. The teenager already holds the world record for the longest ever slackline walk over the Navacelles valley in southern France.